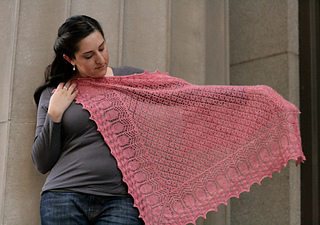 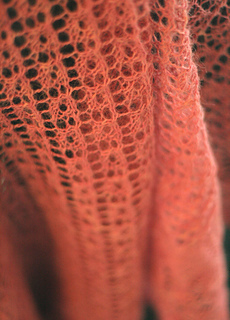 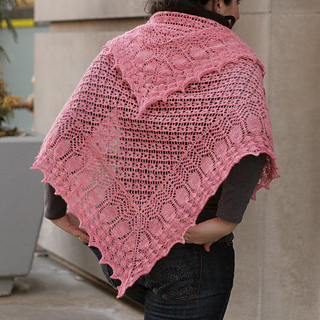 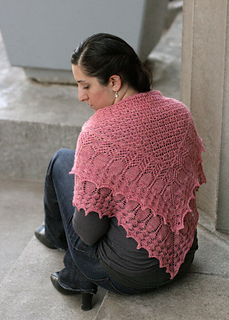 This shawl was first published as the March kit in the Shakespeare in Lace Subscription Club. 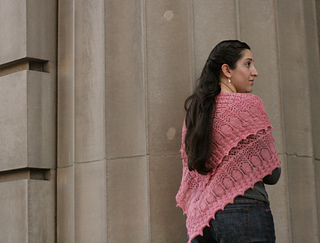 It is now widely available also. 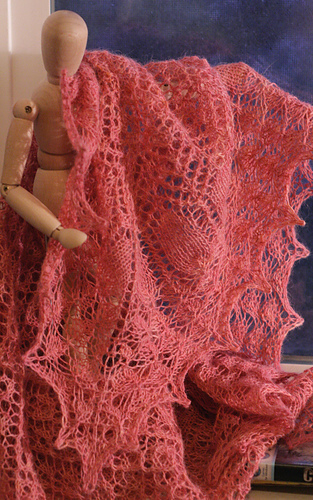 This traditional square shawl is inspired by the character of Desdemona from William Shakespeare’s great tragedy, Othello. 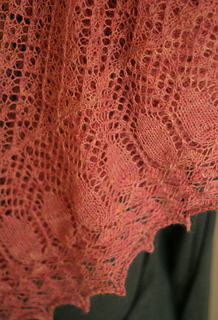 Desdemona’s handkerchief, which was given to her by Othello upon the occasion of their marriage, bordered in strawberries, becomes a pivotal object in the intrigue, betrayal, and ultimate death of both Desdemona and her beloved Othello. 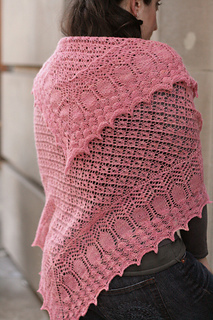 The body of this shawl is worked as a flat square, then stitches picked up all around and a border worked outward in the round. 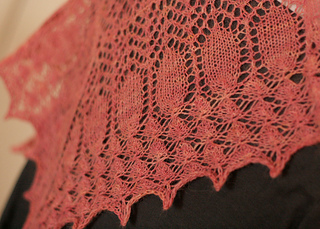 On every odd numbered border round, yarn overs on either side of the corner stitches shape the border.